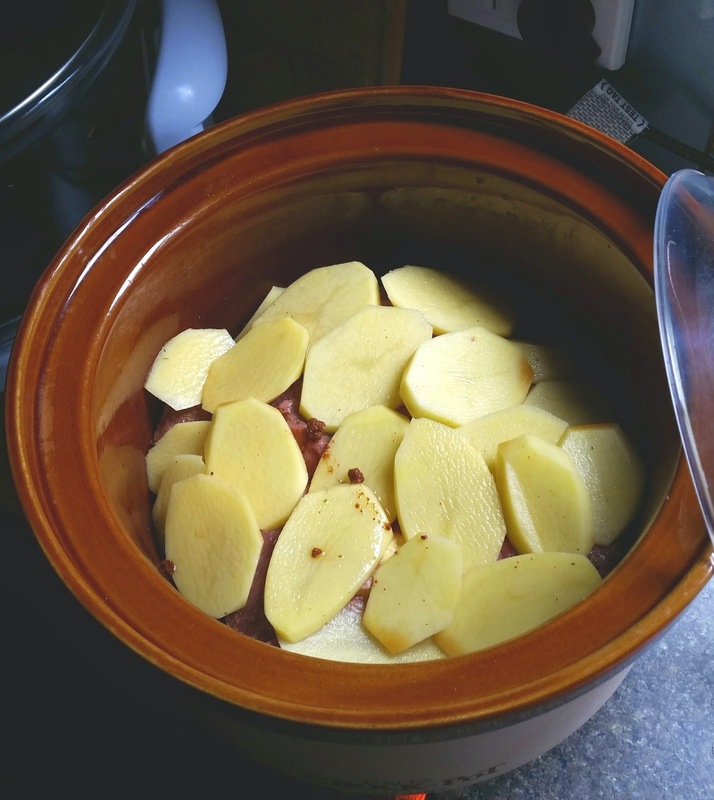 This morning I have put on my slow cooker with one of my favourite recipes the Chinese Five Spice Beef Casserole. It will silently be cooking all day long whilst I can get on with my Monday chores. I love putting all sorts of vegetables with it depending what I have on hand. As you all know any recipe can be adapted to what's in the cupboard. This is my adaption today. Line the base of your slow cooker with sliced onion, swede, carrot, parsnip and kumera. Season. Slice the beef into largish slices and mix in with the Chinese Five Spice and pea flour. Layer on top of the veges. Top with thickly sliced potatoes. Make up your stock with the remaining ingredients with around two cups of liquid. The veges will produce the rest. Set your slow cooker on low and leave til the end of the day. Approx 8 hours.